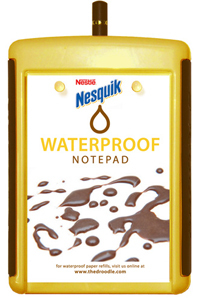 Custom Programs for The Droodle - waterproof notepad - Write. Rip. Repeat. 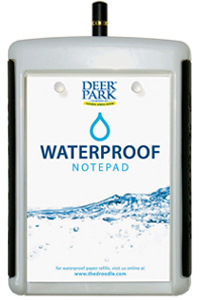 The Droodle™ makes a perfect giveaway or premium item for your company promotion or special event. We can create a unique design, package, label or color combination of The Droodle™ to suit your specific brand. Contact for program pricing, minimum orders and custom options. The Droodle™ offers multiple merchandise programs for retail purposes. Our flexibility allows us to help you create the best program to match your needs. From in-store tests to full chain rollouts, we will work with you to create a successful program offering of our product. Please contact for distributor and merchandising information. If you would like to purchase The Droodle™ at wholesale pricing to offer at your retail location, in your catalog, on your website, to your customers or through any reseller channel, please contact for wholesale pricing, minimum orders and custom options.